Do you use Slack to communicate with your team? 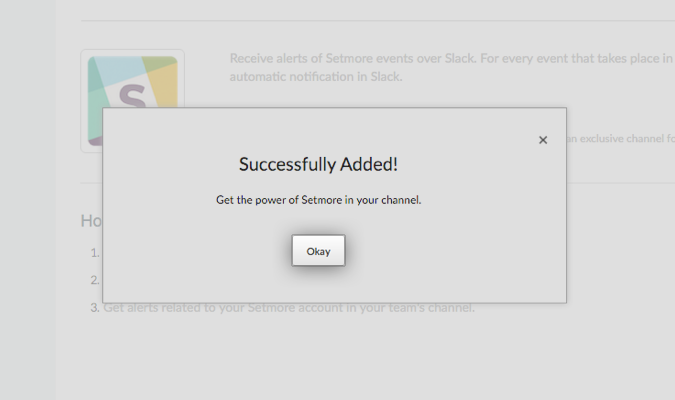 Now you can get Setmore alerts directly in Slack, helping you keep all your team members on the same page. Once activated, this integration will automatically generate activity alerts and post them to a dedicated Slack channel. Team members can access the stream of activity updates at any time, and the messages won't interfere with your other conversations in Slack. 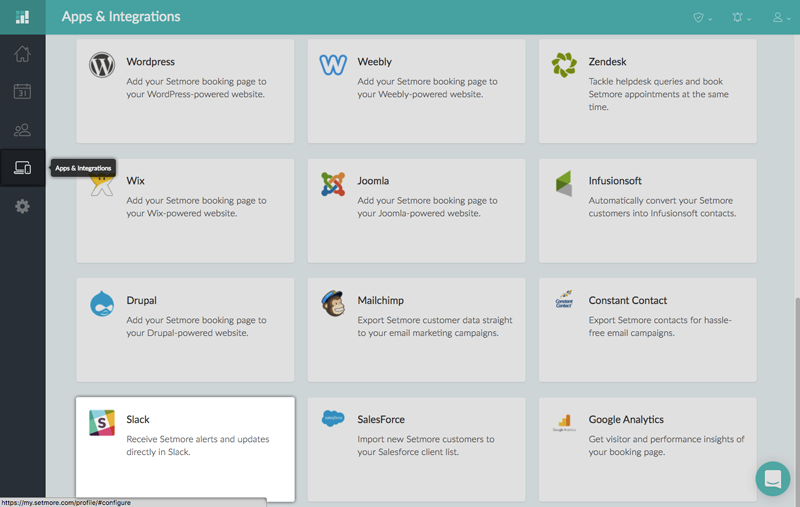 The automatic messages will notify you via Slack about any new, updated, or deleted appointments or customers in your Setmore account. 1. 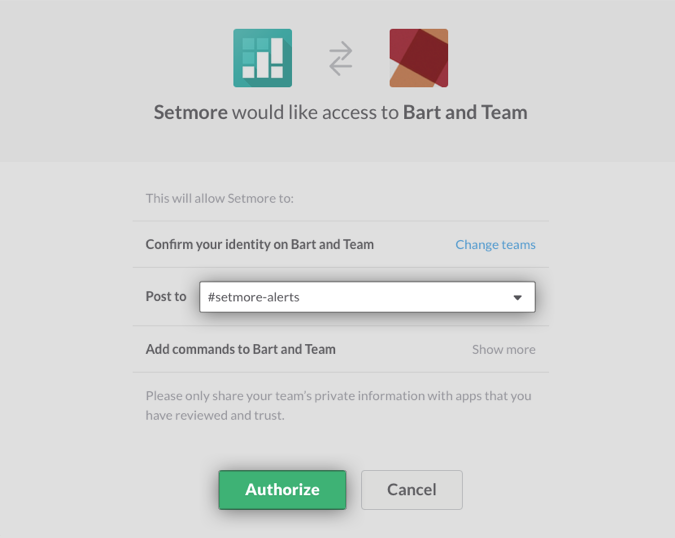 Inside your Setmore account, go to Apps & Integrations, then scroll down to the Integrations section and click the Slack card. 3. 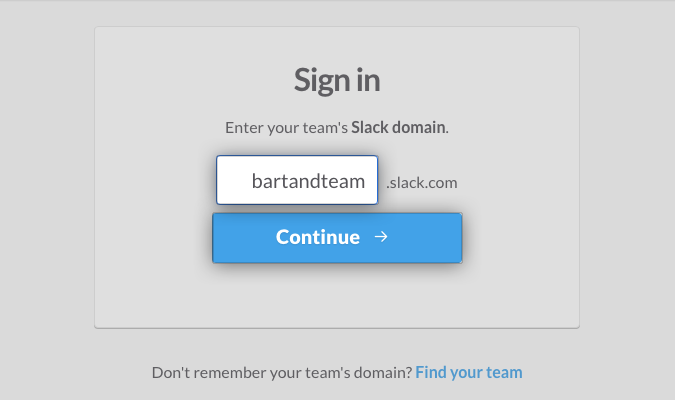 Enter your team's Slack domain name and click "Continue." 4. 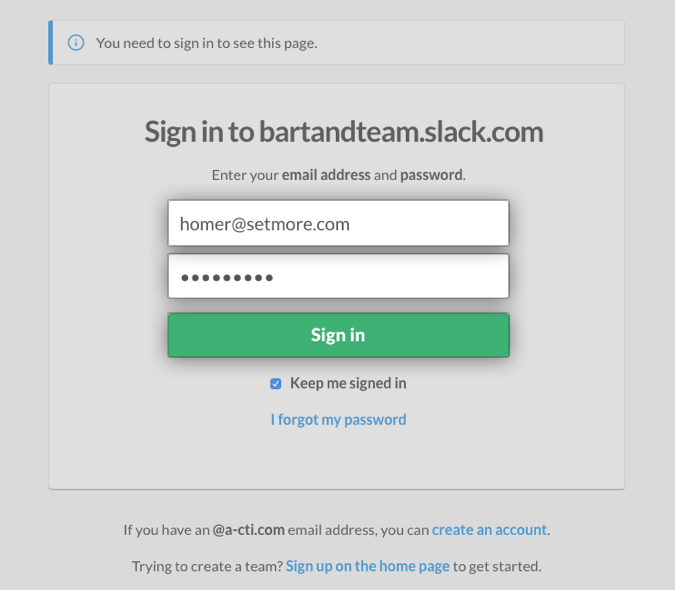 Enter your Slack login credentials and sign into Slack. 5. Specify which channel you would like to post Setmore updates to. This works best if you have a dedicated channel for updates. Click "Authorize" when everything looks good. 6. If successfully activated, you'll receive a confirmation message. 7. In your Slack client, you'll receive an alert that confirms the activation. To deactivate the integration, simply return to Apps & Integrations and find the Slack card. In the Slack details window, click the "deactivate" button.